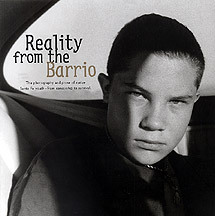 The Photography and Prose of Native Santa Fe Youth-from Cencorship to Survival. Numerous contributing photographers. Edited by Leslie Alsheimer. Santa Fe Boys and Girls Club, Santa Fe, 2003. 96 pp., 60+ duotone illustrations, 10x10". Under the able guidance of Director Leslie Alsheimer, the youth involved in this project found a voice through photography. Underway for over 8 years, the resulting words and images have now been published in a fine, softbound book, and serves as a model for all like-minded projects. Read Publisher's Description.